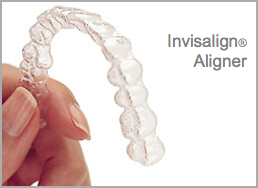 The doctors at Cichetti & DelliGatti Orthodontics are Certified Invisalign Providers. Invisalign’s invisible, removable, and comfortable aligners will give you the beautiful straight teeth you’ve always wanted. And best of all, no one can tell you’re wearing them. Invisalign is great for teenagers (limited to growth favorable patients). Invisalign is the invisible way to straighten your teeth without braces using a series of clear removable aligners to straighten your teeth without metal wires or brackets. Invisalign aligners are made of a virtually invisible plastic and many people won’t even notice you’re going through treatment. Invisalign has been proven effective in clinical research and in orthodontic practices nationwide. You wear each set of aligners for about 2 weeks, removing them only to eat, drink, brush, and floss. The aligners are smooth, comfortable and easy to take in and out of your mouth. As you replace each aligner with the next in the series, your teeth will move little by little, week by week – until they have straightened to the their final position. You’ll visit us about once every 6 weeks to ensure that your treatment is progressing as planned. The total treatment time for Invisalign averages 9 – 15 months and the average number of aligners used during the treatment plan is between 18 – 30, but both will vary from case to case. Whether your teen plays a sport or a musical instrument, metal braces can often prevent them from enjoying the things they want to. Now they can achieve a great smile with little interference in their active lifestyles. Invisalign Teen is a virtually invisible removable solution that gives teens the confidence in their smile throughout the treatment plan. Are they wearing them properly? Parents can be sure that their teen is progressing as Invisalign Teen also uses compliance indicators to track how often your child is wearing his or her aligners. Contact us today to learn more about Invisalign and schedule a consultation visit!